While working away on a web project this week, I had a heart-stopping moment when trying to connect to the web site/s – including SharePoint, K2, AchieveForms, and some custom web services and websites also. First thing I noticed after firing up the VM, was that I couldn’t browse to the “home page”. So, I went to have a look in the IIS manager – and this is what I saw. 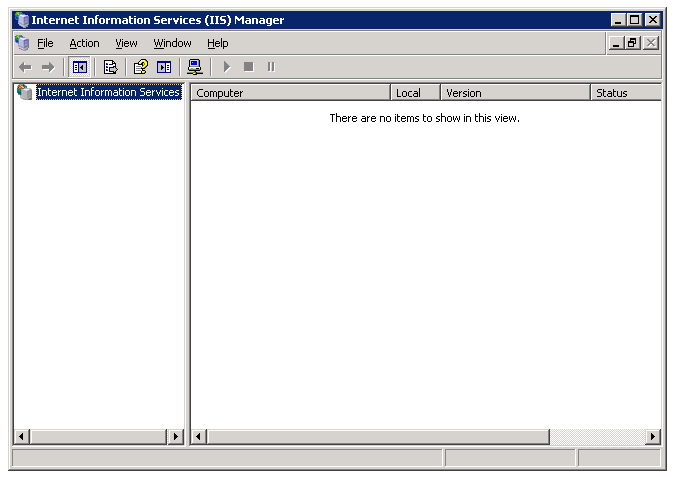 Uuummm – IIS is empty ! Uh-oh ! 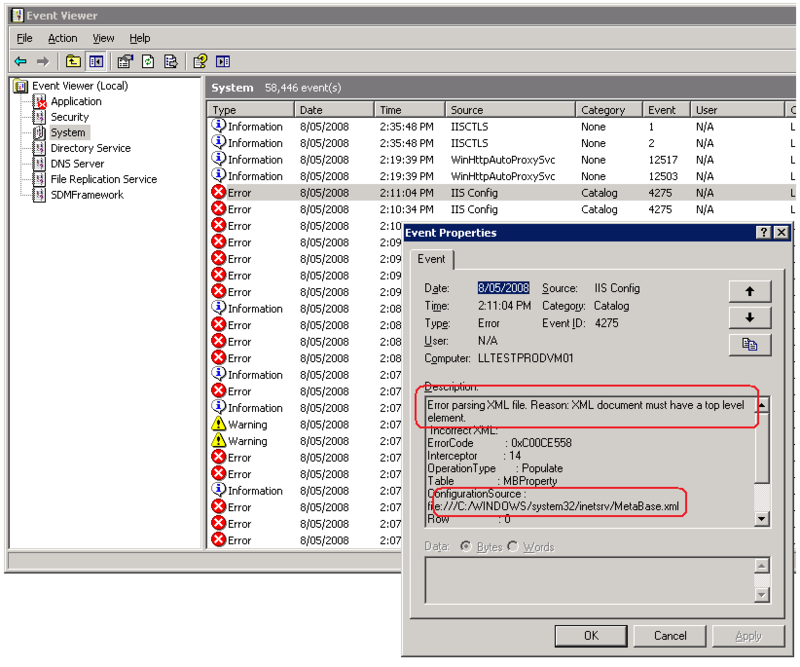 IIS Admin Service or a service dependent on IIS Admin is not active. It most likely failed to start, which may mean that it’s disabled. 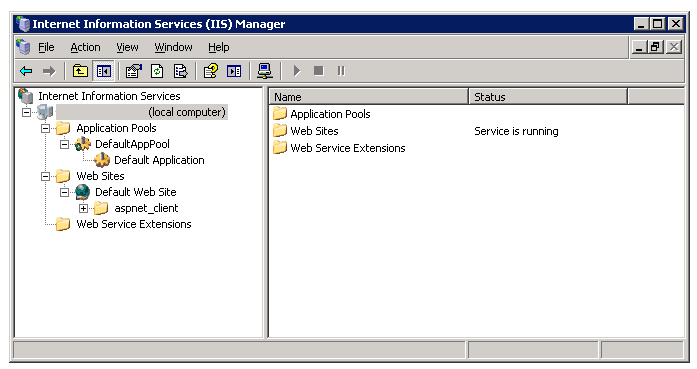 Alright then – so, I went to look for the IIS Admin service, within the “Services” area of Control Panel. Windows could not start the IIS Admin Service on Local Computer. For more information, review the System Event Log. Oh crap – this is getting WORSE ! IIS Config – XML document must have top level element. Got that sinking feeling like I’m back-pedalling somehow, but not actually moving. OK – now, don’t panic ! Some quick web-searching, and the posts I’ve seen mention having to get a repair disk for Windows, and so on – sounds expensive (time). So – a quick look at the contents, and deduced that it’s the “Initial Backup – created automatically by IIS setup.MD1” file that I want/need. After copying this over – and renaming to “MetaBase.xml” – I should be able to start the “IIS Admin” service – and then IISRESET, right ? It’s alive – I can see the server and Application Pools + Web Sites within IIS. But uh-oh, where’s SharePoint, K2, etc…!?! A working IIS is no good to me without the actual “applications”…! 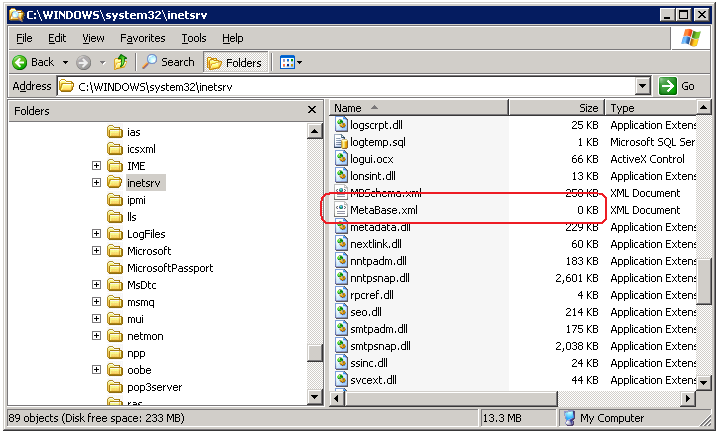 I guess that MetaBack folder was simply some old (initial) version of the file/s. And…. Hey – now, we’re talking !!! They’re all back ! *phew* That coulda been a big-time burner ! I think I might actually set a scheduled task/reminder to take a backup copy of those files – could come in handy. If you have a glitch like this (corrupted MetaBase) – have a look into the “MetaBack” folder, it might save you – or get you going again at least.